Transport Yourself Into New Worlds. PlayStationVR completely transports you into new and unexpected gaming worlds. PlayStationVR will trigger your greatest instincts to play an ultra-sensory experience - feel what it's like to pilot an X-Wing with Star Wars Battlefront Rogue One X-Wing VR Mission or to slay a dragon as the Dragonborn in Skyrim VR. Revolutionize your gaming experience with PlayStationVR. Greatness Awaits. Skyrim VR coming soon, Star Wars Battlefront Rogue One: X-Wing VR Mission requires Star Wars Battlefront (sold separately). Ever Expanding Library of Games - PlayStation is committed to continuously delivering new worlds of unexpected gaming experiences through PlayStationVR. Plug and Play - Getting into PlayStationVR couldn't be easier. Just plug the PSVR headset and your PlayStation Camera into any PlayStation4 system and you're ready to go. 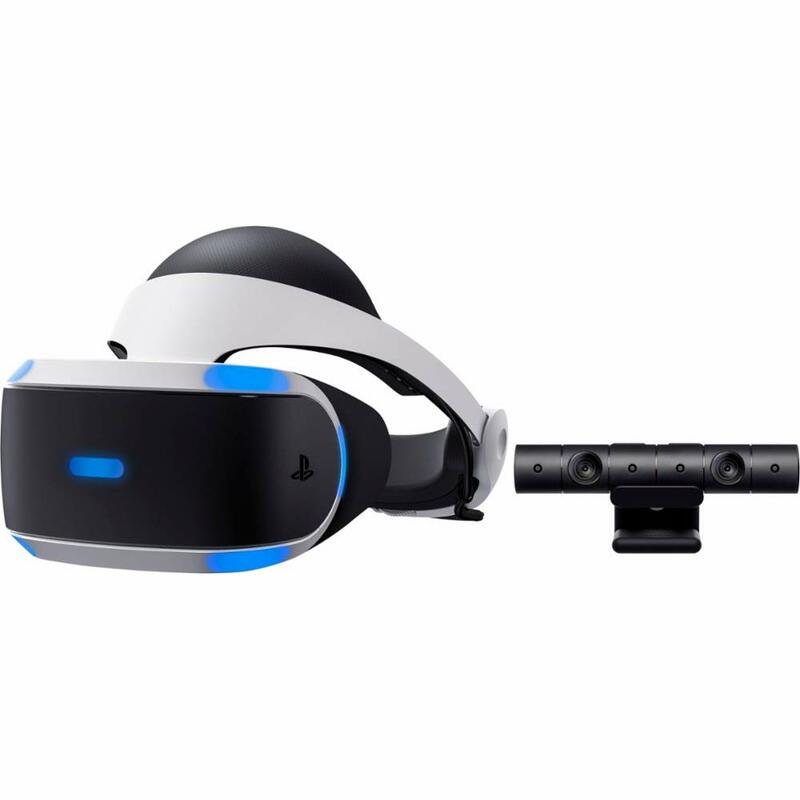 Lightweight Headset Design - The PlayStationVR headset will make you forget that you are wearing one, keeping you free from distraction as you explore new gaming worlds.